This 1/24 scale diecast combo includes the 2010 Ford F-150 Pickup Truck and the 1958 Harley-Davidson FLH Duo Glide Motorcycle. 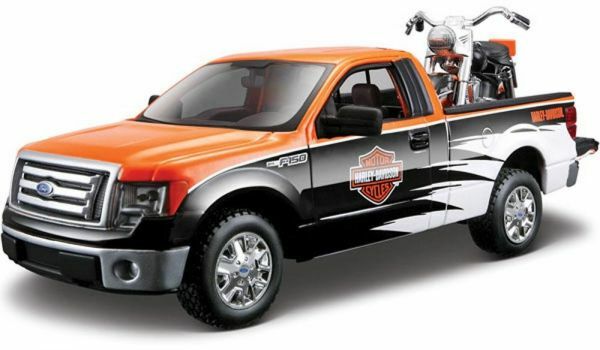 The pickup is 1/27 scale and comes two-toned black and orange, with a 1/24 scale black and orange motorcycle. The pickup features openable doors and tailgate.